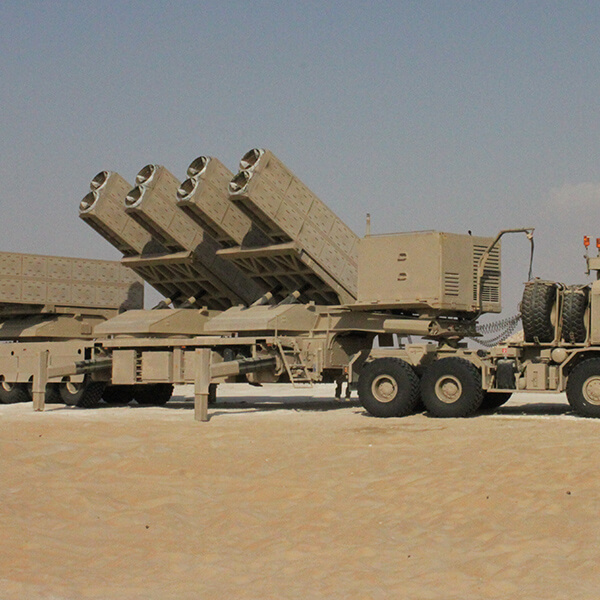 The JOBARIA Auxiliary Power System is a military-qualified Auxiliary Power Unit (APU), hydraulic power system, DC battery bank and power distribution Unit (PDU) mounted on the trailer of the JOBARIA 122/300 MULTI CRADLE ROCKET LAUNCHER. 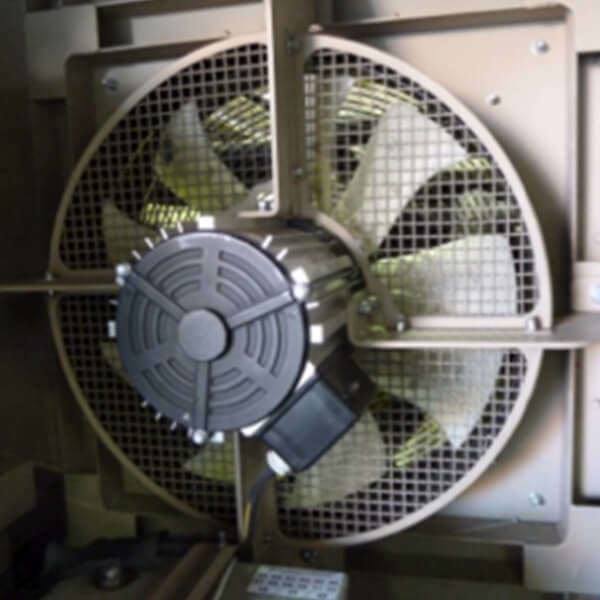 The APS generates 380VAC power for weapon cradle motor drives and 24VDC power for all system control and all DC equipment. 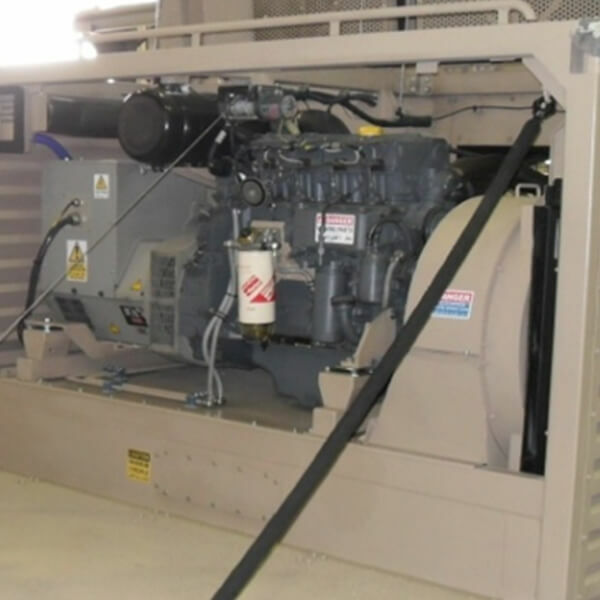 An integrated hydraulic power system generates hydraulic power for the air compressor of the static tyre inflation system compressor and the stabilisers or outriggers on the weapon trailer. 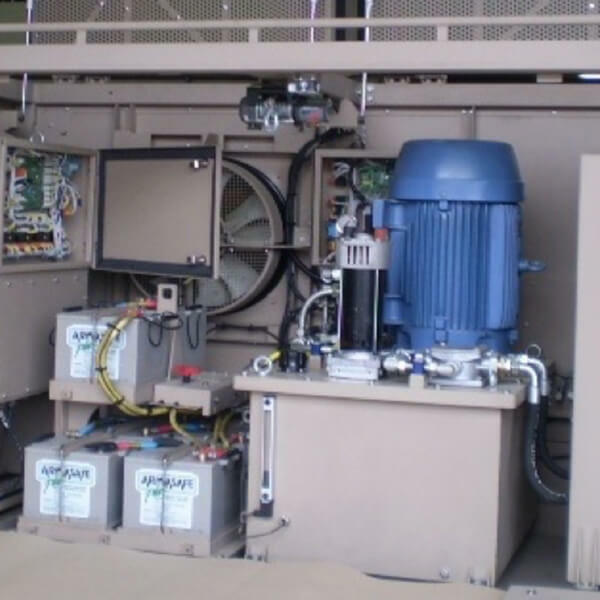 All power generated (AC and DC) is distributed by the power distribution unit and controlled by CAN Bus Controllers situated inside the armored cab, an interface alongside the trailer or the system management computer (SMC). All Human Machine Interfaces (HMIs) have integrated built-in test features, controls and communication software to confirm that each specific unit was not only powered on but is also communicating with the controller.. 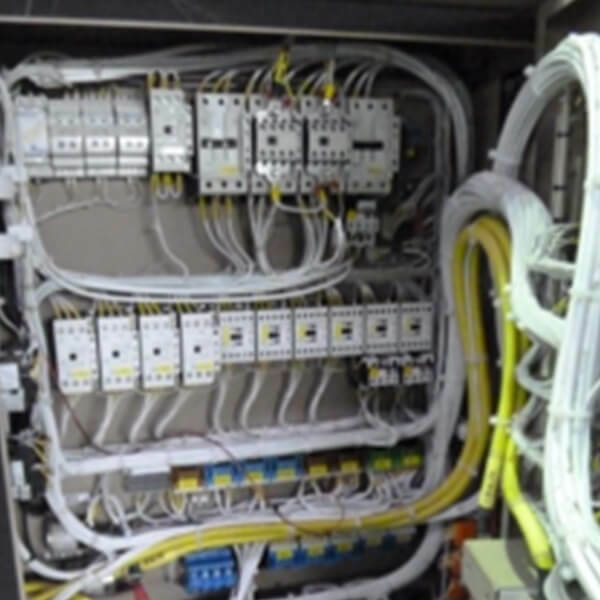 The electrical connections, looms between the aircon subsystems electronic control panel and electrical control gear are designed and selected for operation in military environments, which include adverse temperatures as well as severe shock and vibration.